The olive is probably one of the most popular fruits around the world. 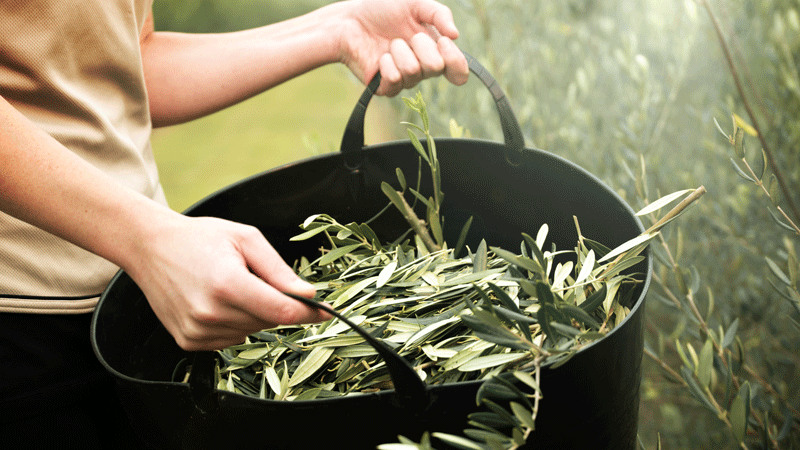 The olive tree originates since the beginning of the world and it is used as food and medicine worldwide. These are facts which are familiar to most. But what most people don’t know is that olive leafs are those which have the most healing properties and may cure pneumonia, gonorrhoea, tuberculosis, flu, meningitis, herpes, hepatitis B and many more thanks to the most important compound oleuropein. You may prepare tea from olive leaves which is great against pneumonia, gonorrhoea, tuberculosis, influenza, meningitis, hepatitis B, herpes, chronic fatigue syndrome, atherosclerosis, botulism, malaria, stomach ulcers, diphtheria, urinary tract infections and encephalitis. Olive leaf tea may not only help you with various diseases but it may also give a boost to your immune system and new energy. This tea should be consumed after chemotherapy or when you are stressed and panicked and you want to relax. Harvest the leaves in spring and leave them to air dry. When dry put them in a glass container and keep them in a dark and cold place. To prepare this tea you will need 15–20 leaves. Put the leaves in boiling water and cook them for 10 min, then remove them from the stove and leave the tea to cool down for 15 min. If you want you can add honey or lemon according to your preference. This tea is great for everyone and should be consumed for several weeks in a row in order to feel the benefits. Here in Cyprus we have olives in abundance and I therefore recommend this remedy to everyone living here.